Did you know that getting vaccinated is just as important for seniors as it is for children? Based on decades of research, The Centers for Disease Control and Prevention now recommends several vaccines for the elderly, after age 60. All adults should ask their doctor about immunizations, and the older we are, the more likely we need vaccinations or booster shots for vaccines that may have worn off. No matter what your age, vaccines are one of the best and easiest ways to protect your health and the health of your loved ones. As we age, our immune system weakens and puts us at a higher risk for diseases and their complications. Older adults often have conditions that can make it harder to fight off infection, and with some chronic diseases, the complications of infection can be more severe. For example, getting the flu if you have heart disease increases the stress on the heart and therefore your risk of heart attack. If you have diabetes, flu infection can raise your blood glucose to dangerous levels and if you have lung disease, it can lead to pneumonia or other problems. Flu. It’s important to get the flu vaccine every year because it’s updated annually to best defend against the constantly changing virus. People 65 and older are at greater risk of serious complications and hospitalization from the flu because our immune defenses become weaker with age. So, all adults should have a flu shot, but the older you are, the more essential it is. Tetanus, diphtheria and pertussis. Thanks to immunizations, these serious and sometimes deadly diseases are uncommon now. 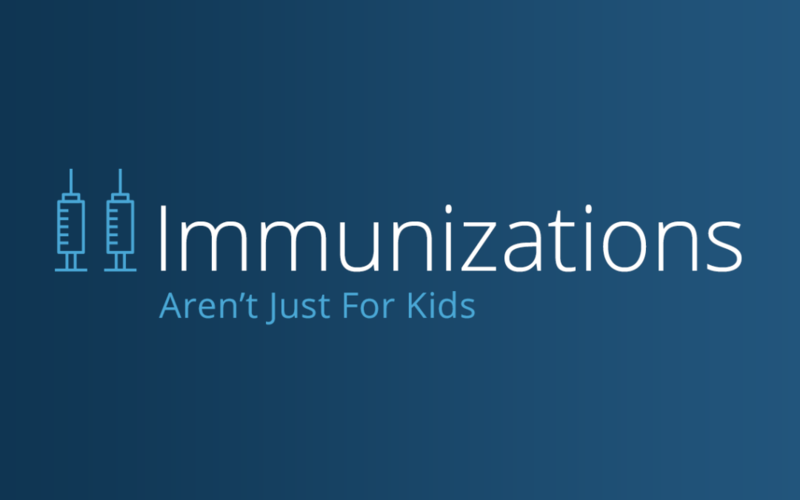 Most of us were vaccinated against tetanus, diphtheria and pertussis (whooping cough) when we were young, but since immunity fades over time, we need to get booster shots. So if it has been more than 10 years since your last shot, it’s time for a booster. Shingles. This very painful, blistering rash is caused by the varicella zoster virus, the same virus that causes chicken pox. Anyone who has ever had chicken pox is susceptible to getting shingles, but the risk increases dramatically for older adults. That’s why the vaccine is recommended for those over 60. It has been shown to cut the risk of developing shingles in half and also reduces the severity of the disease for most people who do get it. Pneumonia. Caused by streptococcus pneumoniae bacteria, pneumonia is an infection of the lungs that can be serious or even deadly—especially for older adults. It is now recommended that people 65 and older receive two vaccines to prevent pneumonia and other pneumococcal diseases. The PCV13 and PPSV23 vaccines together protect against 36 strains of bacteria that cause pneumonia and other dangerous infections like meningitis. Not all vaccines are for all people. For example, if you have a particular allergy or disease, some vaccines would not be recommended. So before you get vaccinated, talk to your doctor about what vaccines are right for you depending on your age, health and medical history. Home Care Services and Home Health: What’s the Difference? © 2017 Home Care Angels, Inc.